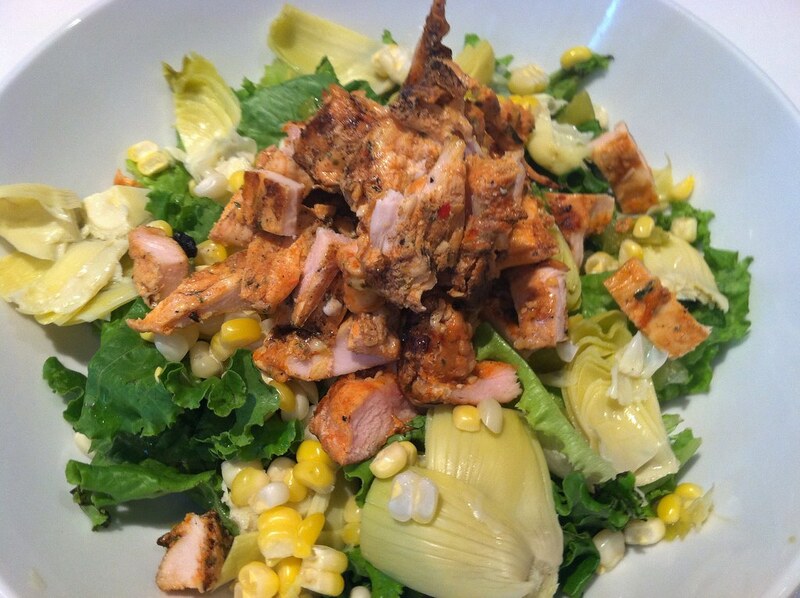 CSA #8 and grilled chicken and corn salad – ugly food tastes better. Its a small share this week, but with a ton of donut peaches, which I have very much been looking forward to, so thats exciting! 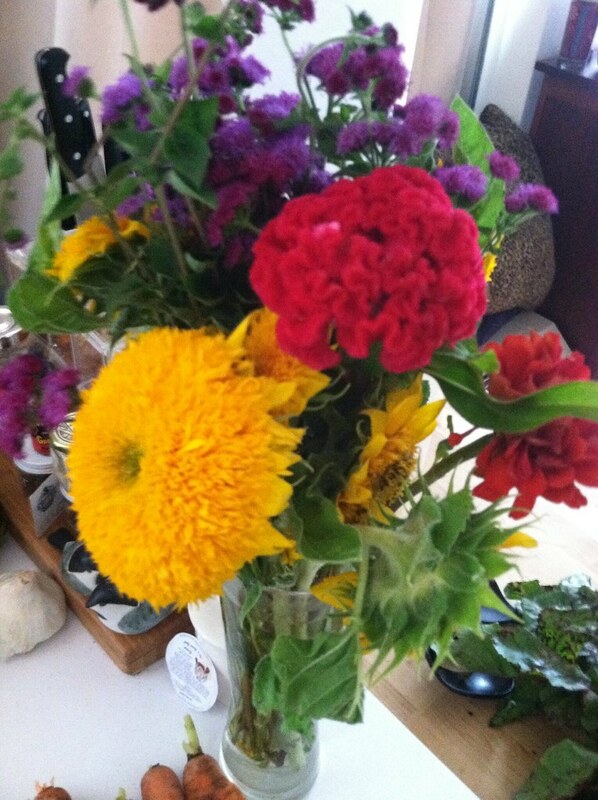 Flower share: dill flower, zinnias, sparkler flower (cleome), etc. LOVE those brain looking flowers, Celosias, google says. haha. 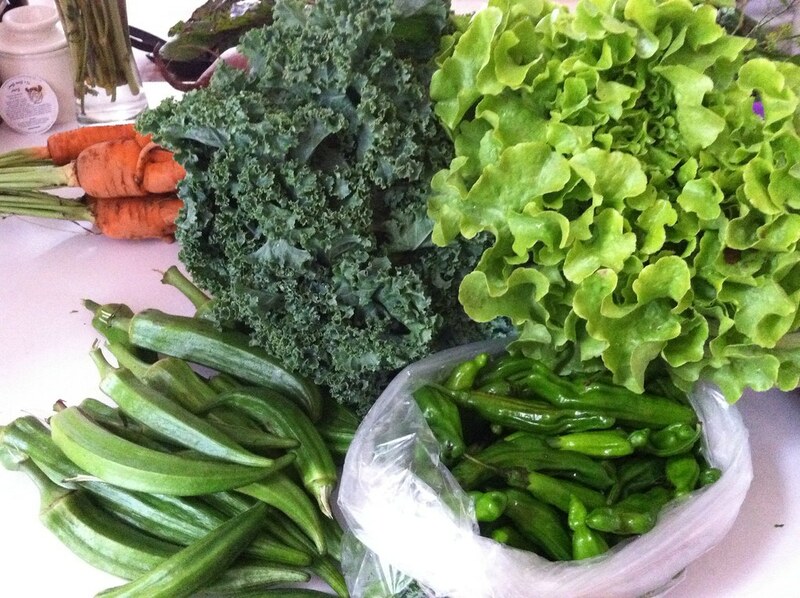 And I love having the farmer’s market pick up so we can bolster our share with what we need in one trip. Today we bought shishito peppers because Danielle eats like 10 a day, some kale, some amazing butter lettuce, and the biggest okra I have ever seen, which I am really looking forward to. Then I cut it off the cob and added it to a salad of the rest of our lettuce and some artichokes and topped it with some serrano honey balsamic and grilled asado style chicken. YUM lunch! 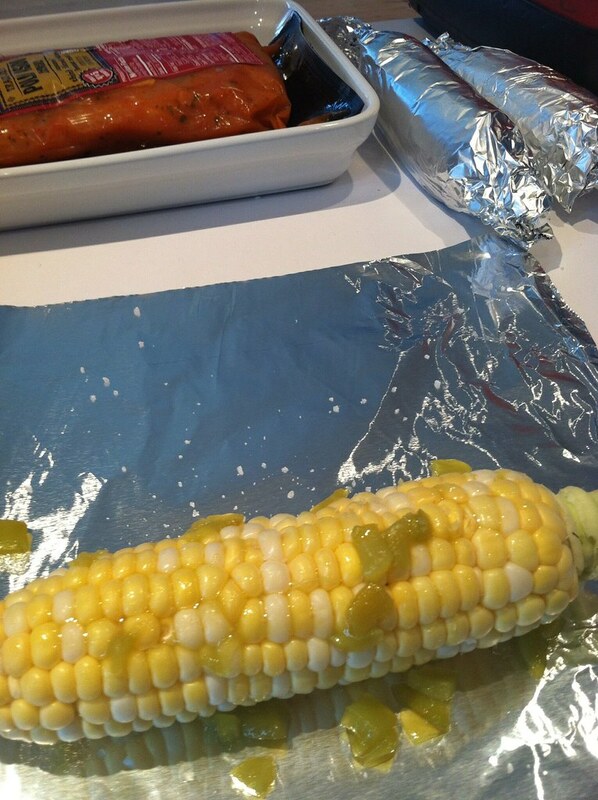 Great idea to grill the corn with chilies. Why thank you! It was delicious! Can’t decide whether I want to steal your donut peaches or that corn salad….yum! 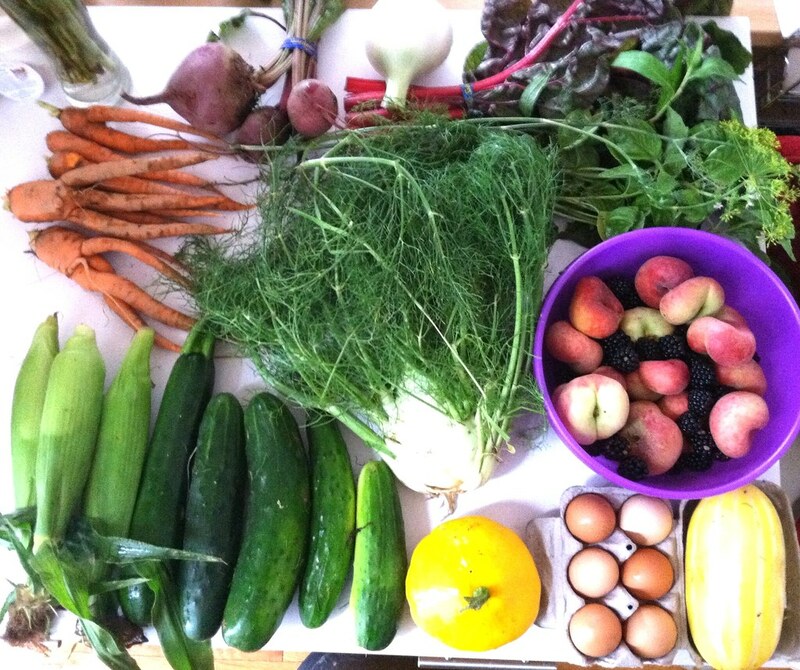 Pingback: CSA 8 | ugly food tastes better.